Official-looking render of upcoming Sharp Aquos S3 leaked - Playfuldroid! 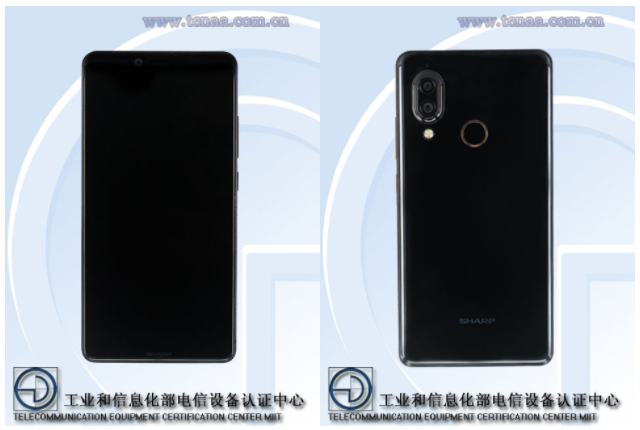 Yesterday, Sharp had dropped a bombshell that the company will be unveiling their new Sharp Aquos S3 flagship on January 16th later this week in China. This handset had already been certified by official telecommunications authorities in both China and Taiwan last month. Courtesy of the Chinese TENAA authority, we’d already seen a couple of the device’s live images ahead of its official unveiling. 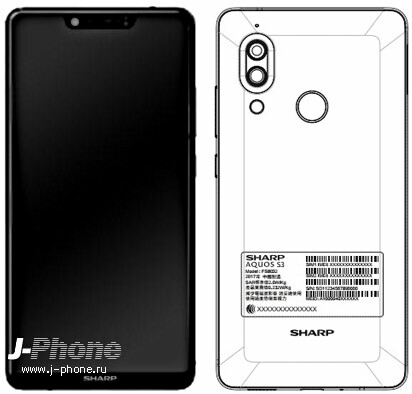 However, according to a report out of Russia, the images we’d seen earlier on ain’t actually the real design of the upcoming Sharp Aquos S3 as the Japanese company had concealed part of the device’s top bezel which prevent us from seeing the full design. To follow up, the Russian source had released an official-looking render of the Aquos S3 which gives us the most accurate look at the upcoming handset. As seen above, the Sharp Aquos S3 will be featuring a top-notch design on its front panel – similar to the iPhone X. Within the top-notch, it will house a selfie-cam, speaker, as well as a proximity sensor. Other than that, the device will feature a near bezel-less display courtesy of the company’s in-house FFD (Free Form Display) technology. It is also pretty obvious that the company has trimmed the bottom bezel of the device as well, giving it a higher screen-to-body ratio. According to the device’s TENAA listing, it will be featuring a 5.99-inches FHD+ display with 18:9 screen aspect ratio. The device will be arriving in two different variants with one having a 4GB+64GB memory configuration, and another higher-end model with 6GB+128GB setup. The former is expected to be powered by a Snapdragon 630 SoC, while the later equipped with a more powerful Snapdragon 660 SoC instead. Camera-wise, there is a 12MP+13MP dual-camera setup at the back, as well as a 16MP front-facing selfie cam. Ivan is the chief editor of this blog and has been a diehard fan of Android since its genesis. If you've anything interesting to share do ping him as well!